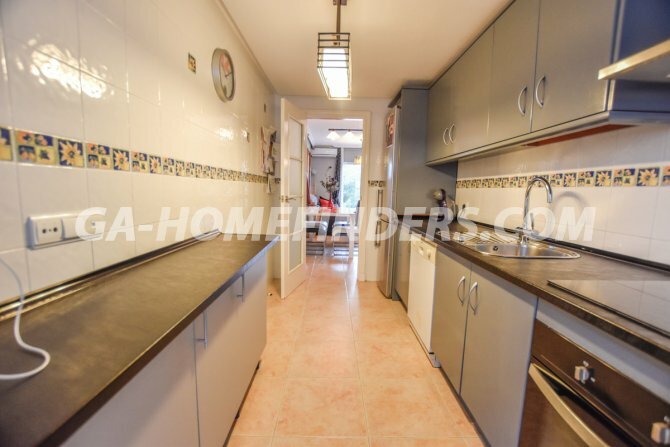 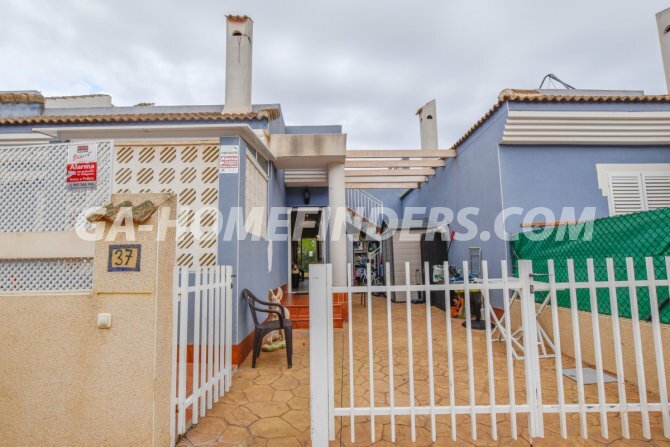 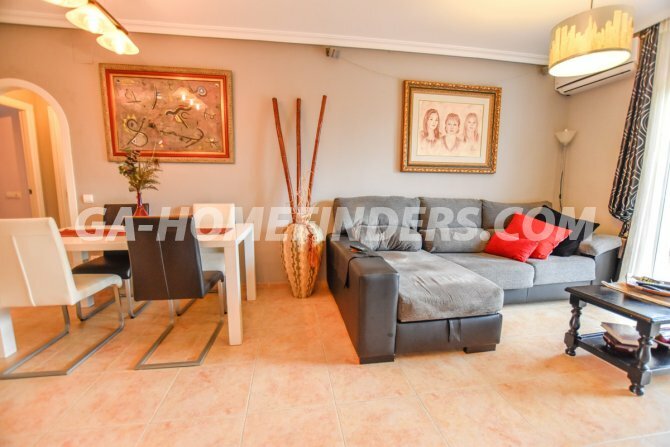 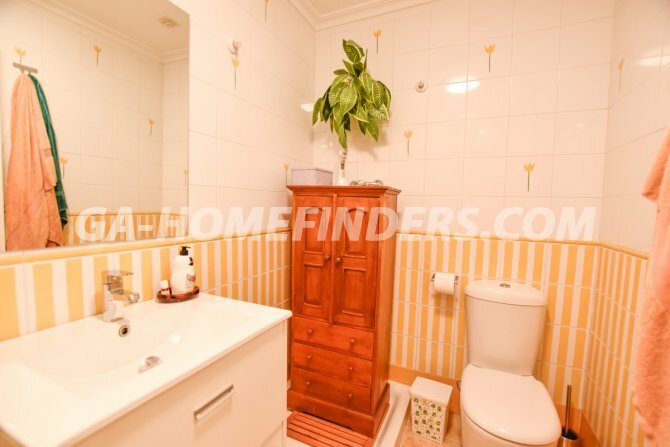 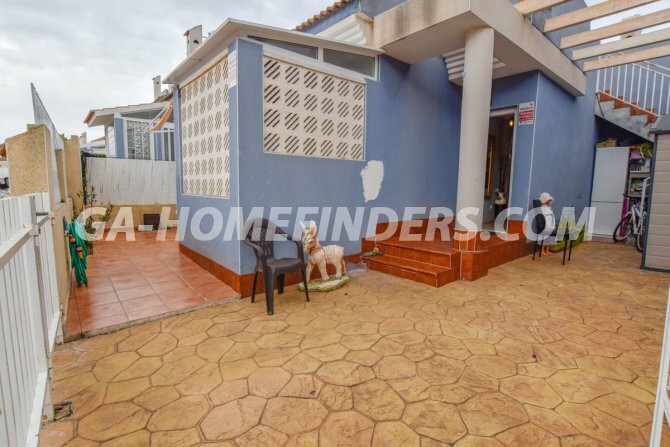 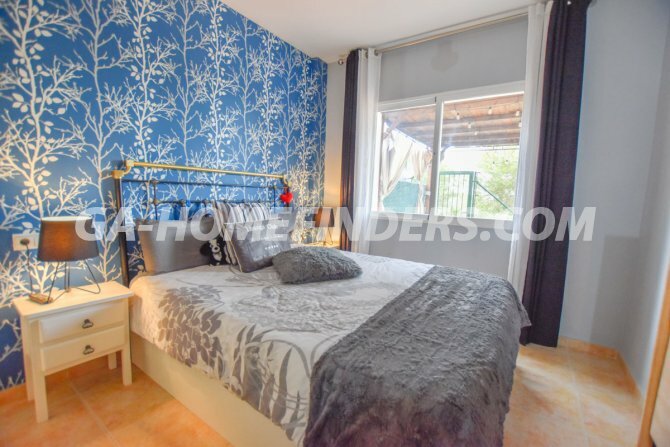 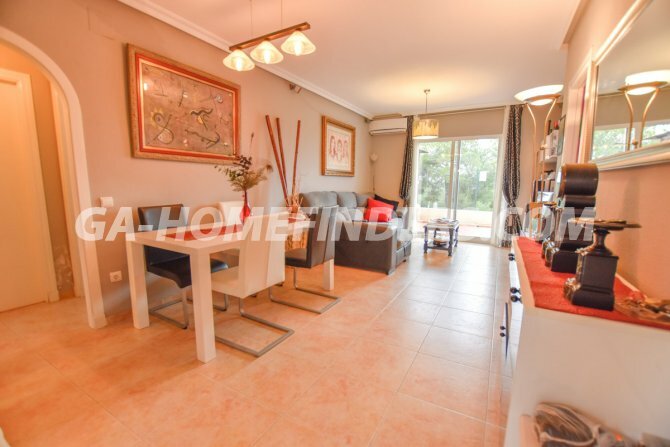 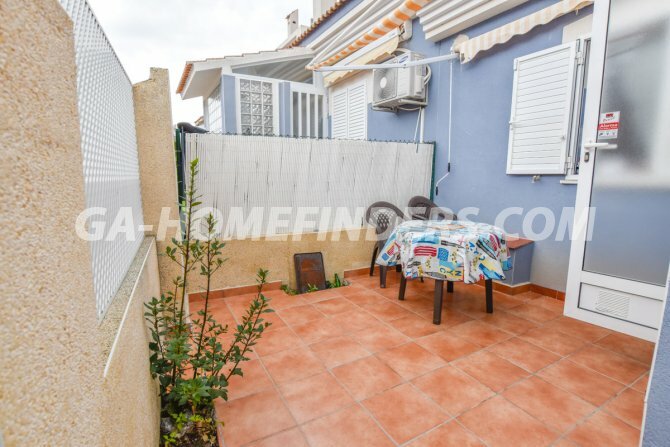 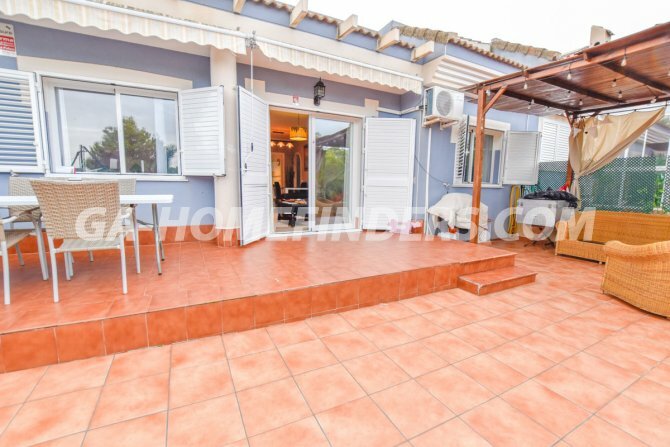 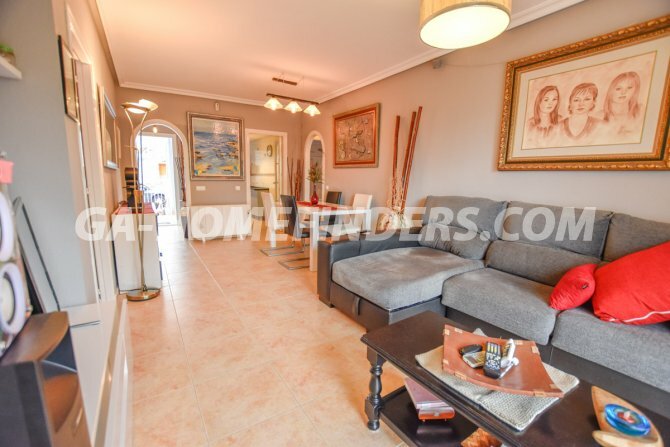 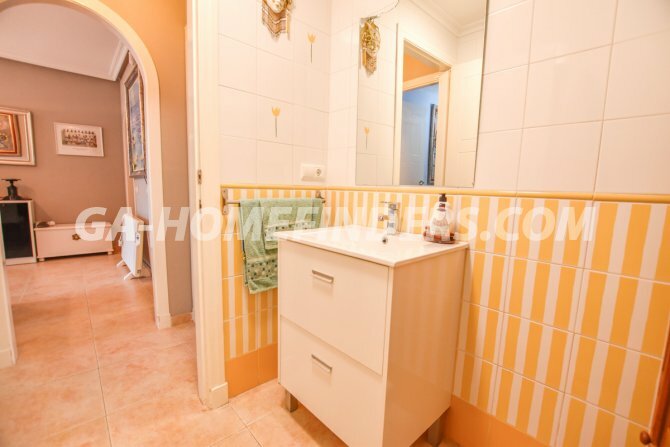 Semi-detached furnished house with 3 bedrooms and 2 bathrooms with all the accommodation on one floor. 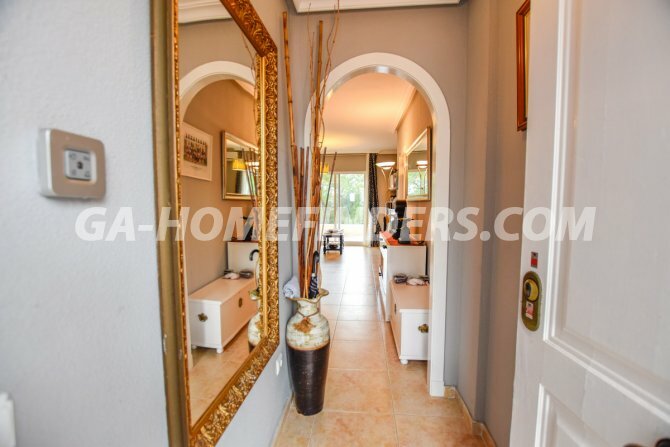 At the entrance of the house there is off street parking, It has a large living room with access to the garden, an independent kitchen with all appliances and gallery. 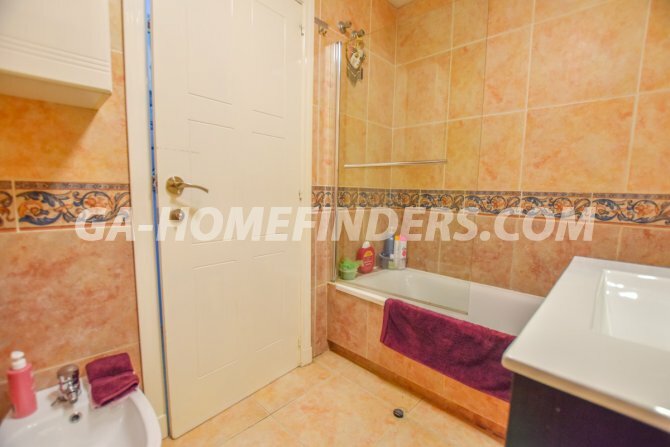 The bedrooms have fitted wardrobes. 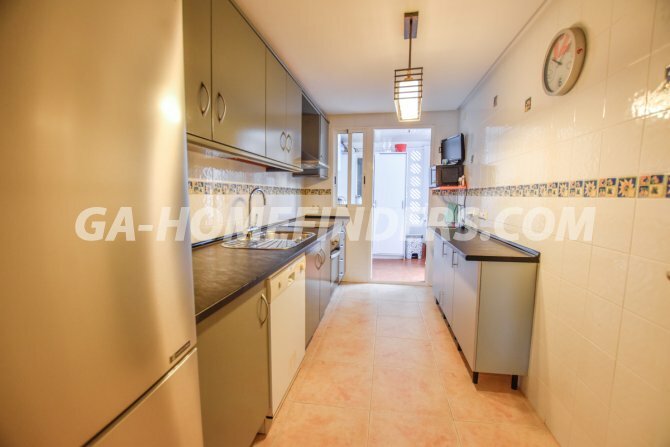 It has air conditioning (hot and cold), central heating, and all the windows have grills and shutters. 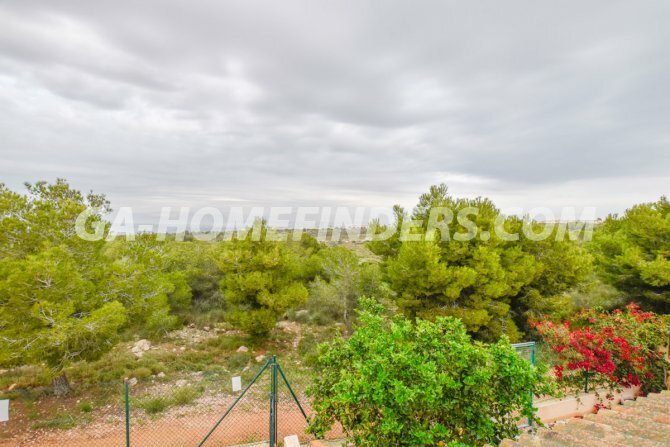 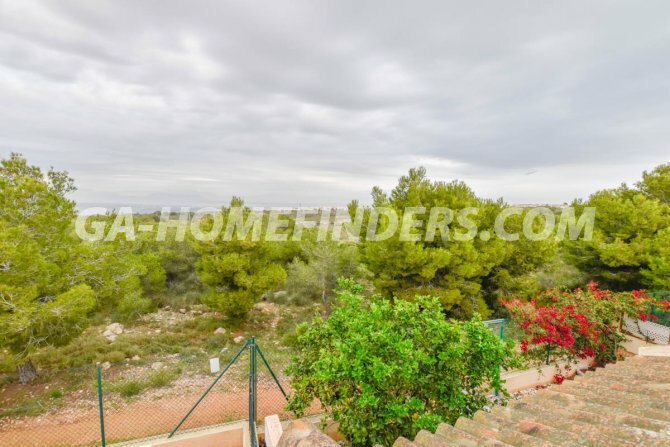 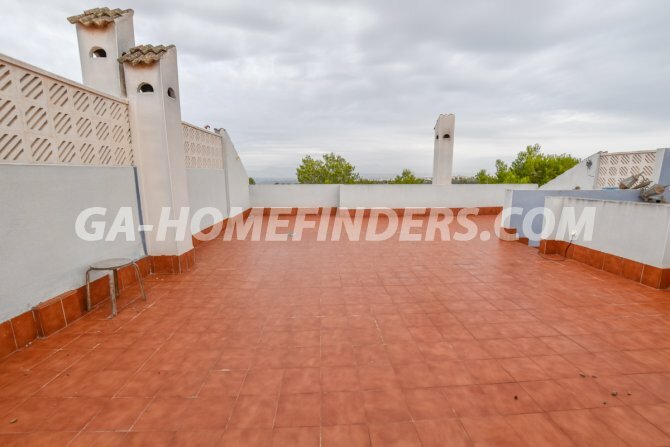 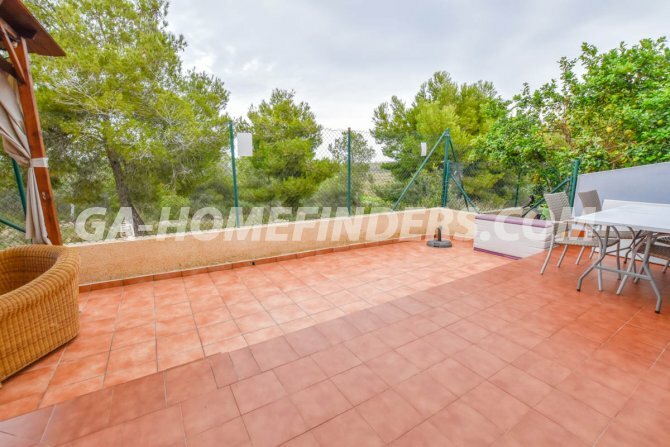 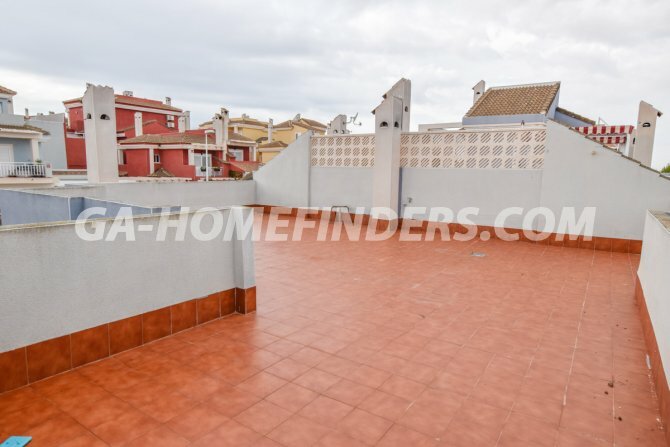 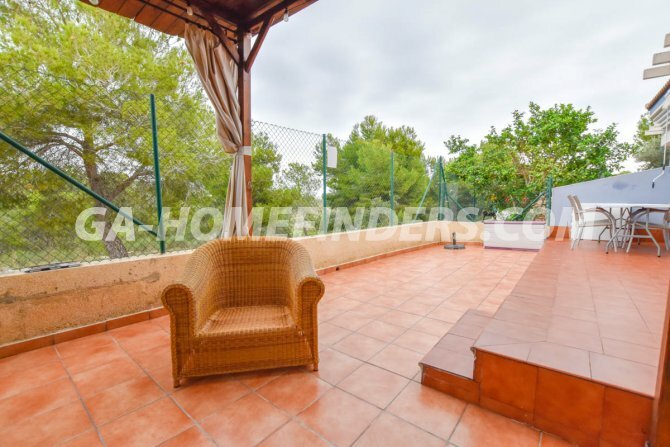 It has a large solarium with wonderful views of the Sierra del Faro. 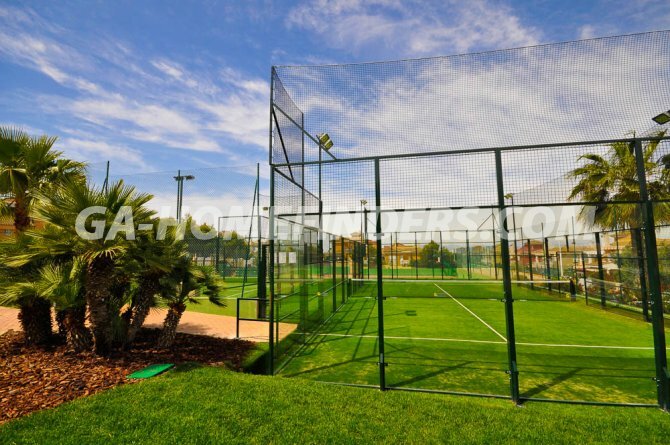 The urbanisation is located in the upper part of Gran Alacant and is gated with large green areas, a social club, community pool, paddle tennis court and a tennis court.